Whether travelling for business or leisure, here at I-AM we’re always on the hunt for interesting and relevant events in the places we visit. So when our London Operations Director was in Miami last week, it made perfect sense to include a day at the South Beach Food & Wine Festival. Now in its 15th year, the Festival brings together the best in international wine producers and culinary personalities for a series of events and tastings. The highlight? 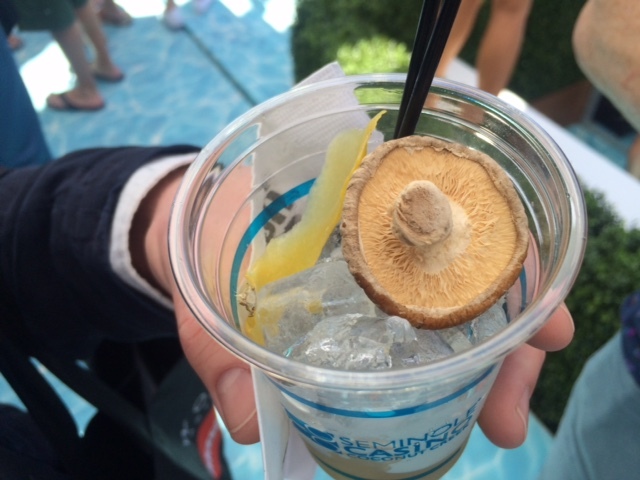 Well, this mushroom infused bourbon was a taste sensation, complete with a shiitake topping. Combining fungi with hard liquors has been touted as a food trend for a couple of years now, and with the Festival’s track record of bringing innovative concepts to a wider audience this could mean we’ll all be sipping on one before the year is out.